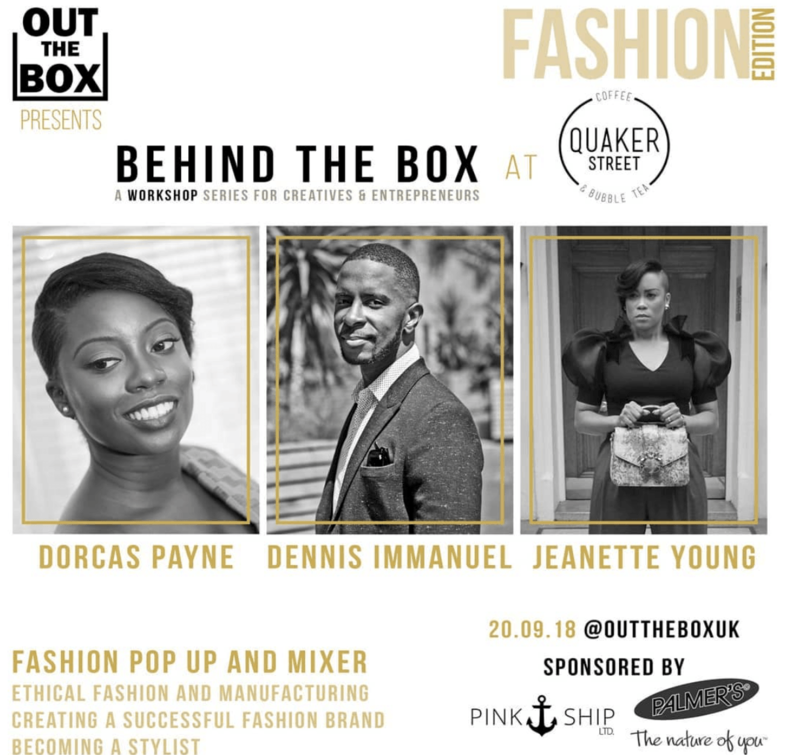 Another ethical workshop with a purpose! This time at the Cafe we rethink businesses, products and services that are created around human needs. At Quaker Street we care for our surroundings, community and planet. 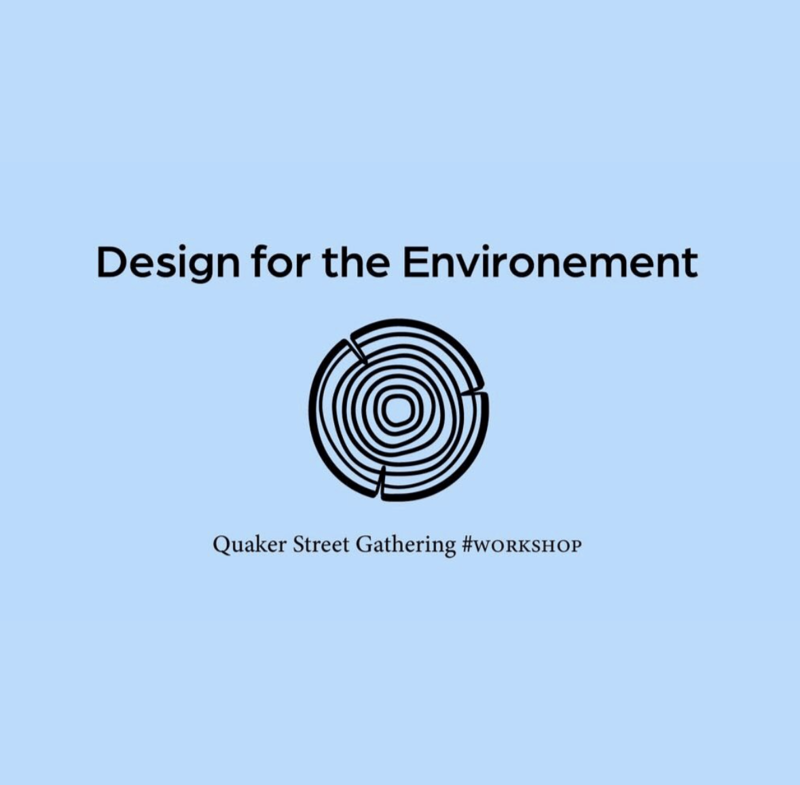 Design for the environment workshop focuses on rethinking businesses, products and services to align with the needs of the planet. You can also have a bubble tea, hot drink or biscuit of your choice! 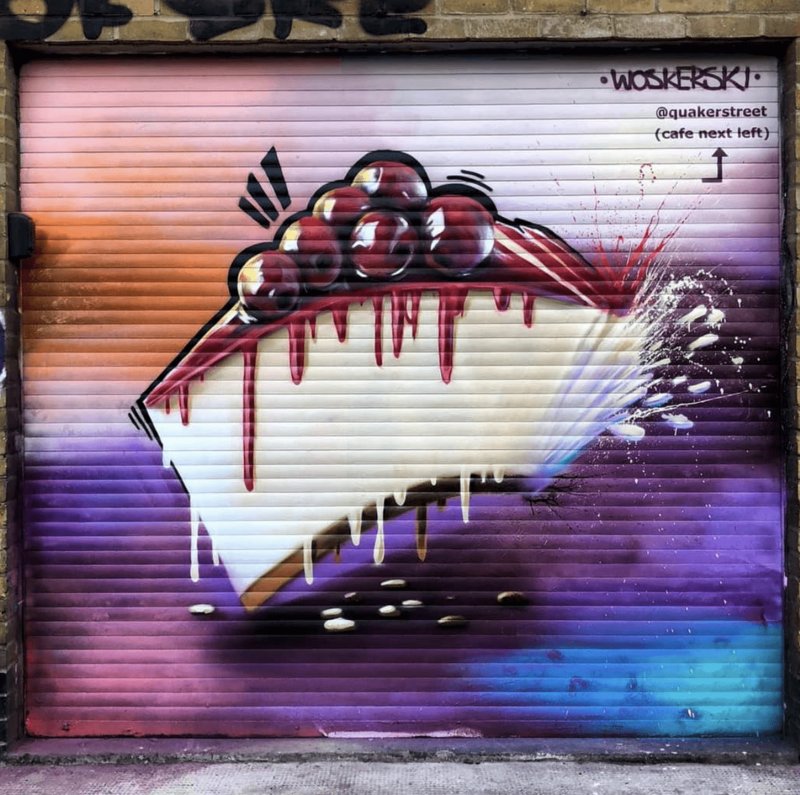 We’re no stranger to Woskerski’s murals and explosions of vivid colour here at Quaker Street. He painted a berry realistic cheesecake for us in November! 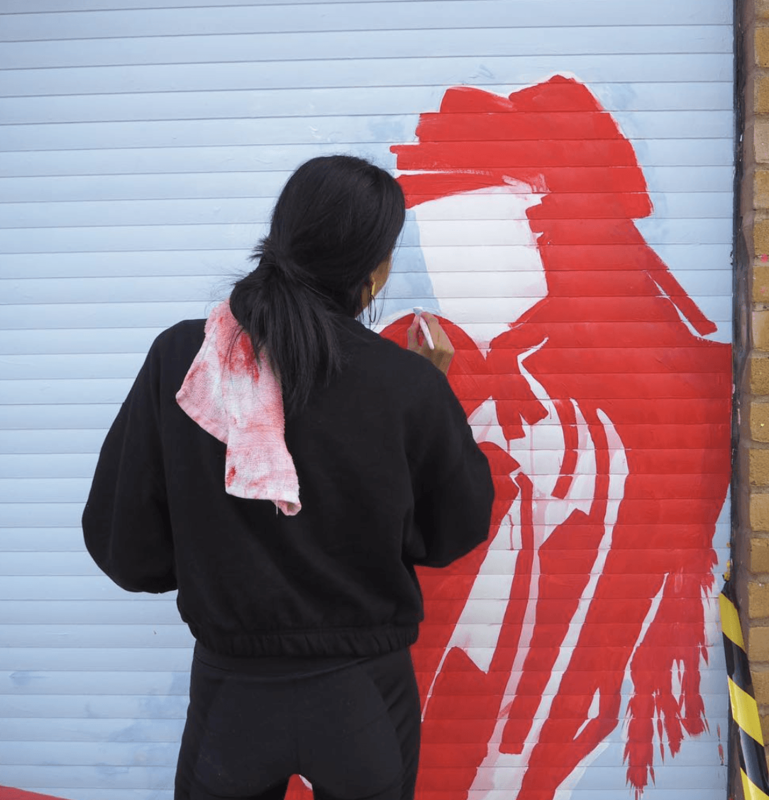 Talented young artist Karimah Hassan added a stunning composition of reds, pinks and baby blues to our shutter for October. Find more of her work at https://karimahhassan.com/. 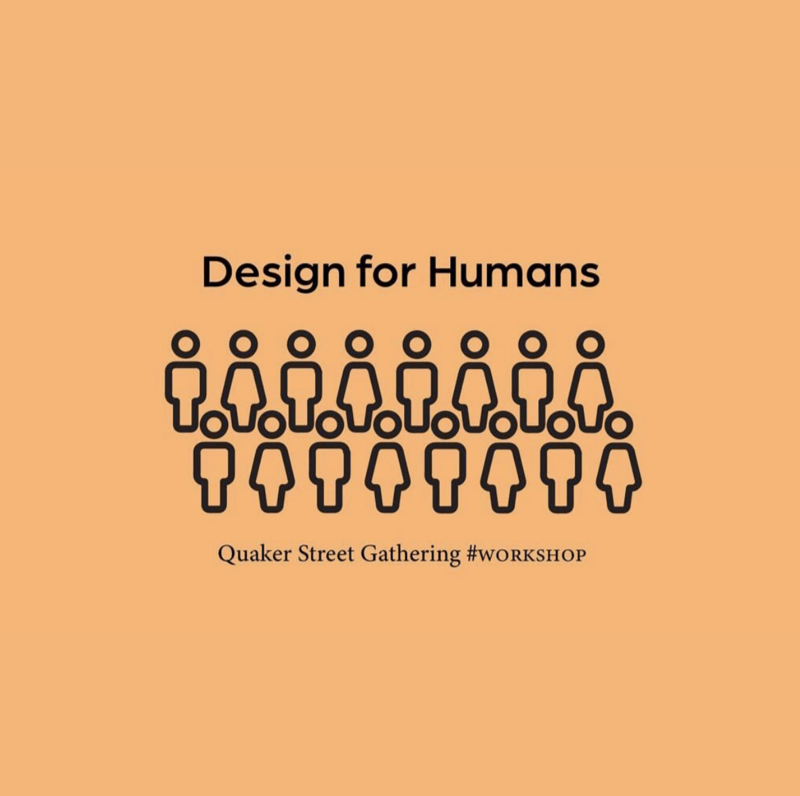 Whilst everybody at Quaker Street is waiting patiently for our co-working space plans to finalise before January, we’ve been thinking of ways to utilise the large area right next to the cafe. It’s available to hire out privately until then, and what could be better suited to the month of October more than a VR take on a classic haunted house.. In collaboration with Realities Centre and Japan Nakama, a potentially terrifying, fun, bizarre and exciting alternate world exists behind the doors of the happy place we know as Quaker Street. You can choose from four different realms, each of them equally as fascinating. If you’ve ever fancied a high adrenaline zombie killing spree with 3 of your best mates, look no further – we’ve got just the trick. 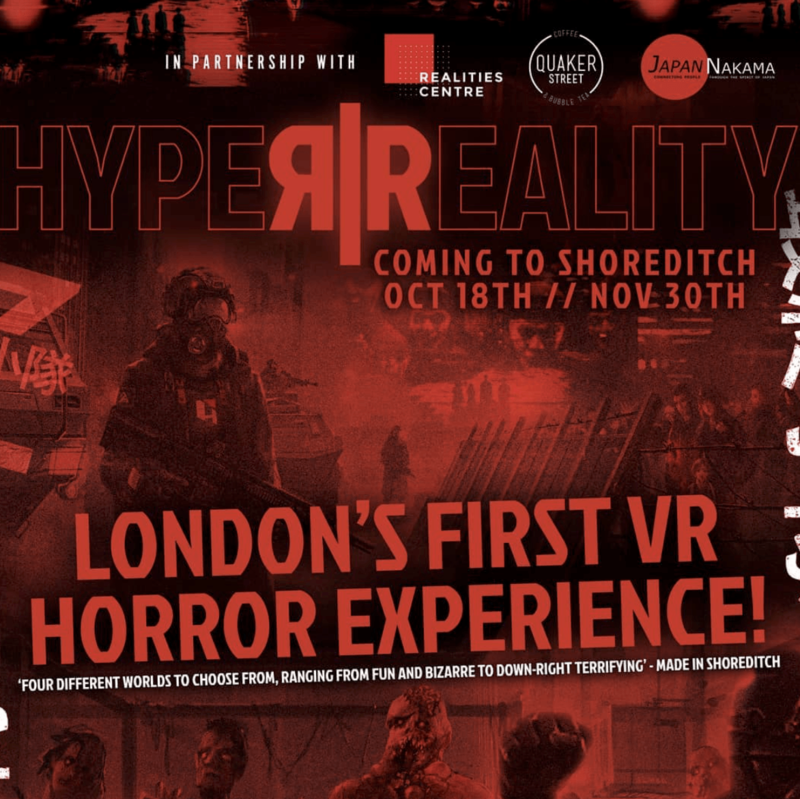 If you beat the high score of the day you get 15% off either a Hyper Reality T shirt or Hyper `reality experiences. Our VR haunted house is running until November 30th, from 1pm until 11pm with different sessions taking place throughout the day. You can find out more information via the Hyper Reality website here. We all should be aware of our carbon footprint, and the fashion industry is the biggest contributor of toxic emissions, waste and pollution. 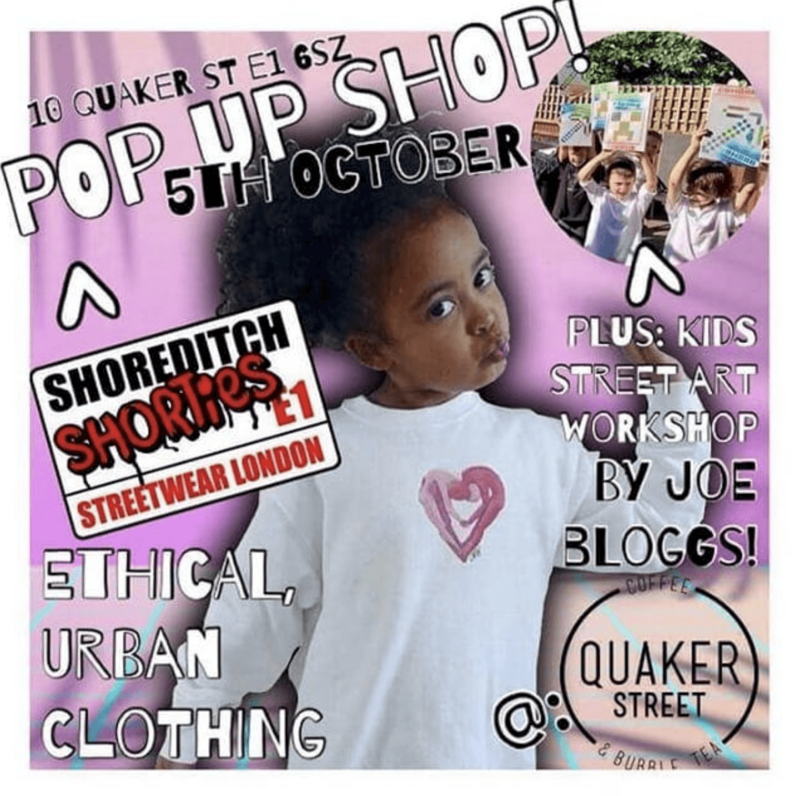 Our Eco friendly October pop-up, organised by Shoreditch Shorties will help put your mind at ease, whilst supporting local business. 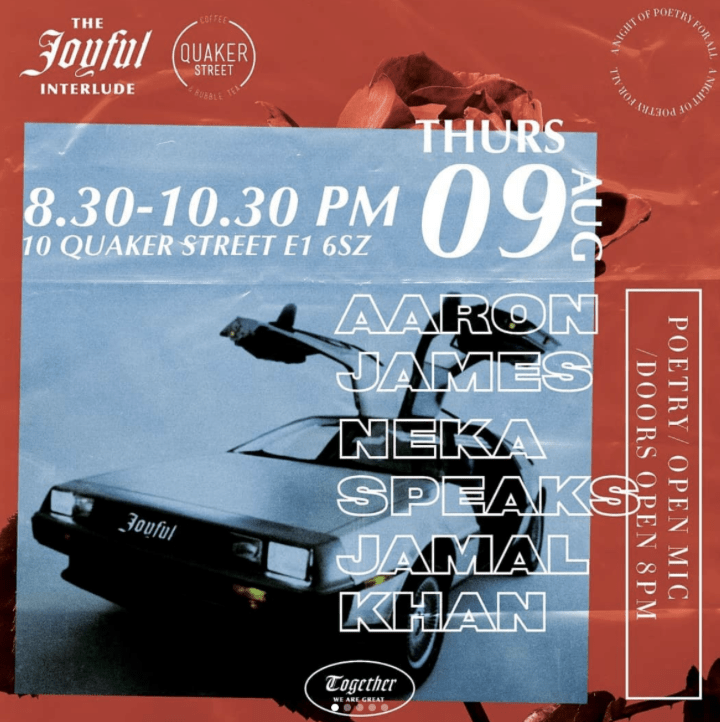 Quaker Street’s monthly spoken word and live poetry experience picks back up for September, soothing our hectic London lifestyle’s and allowing us some escapism. Hosted by our curator Shina. To provide a series of monthly workshops for creatives and entrepreneurs with the aim of developing existing skills with the help of industry professionals. 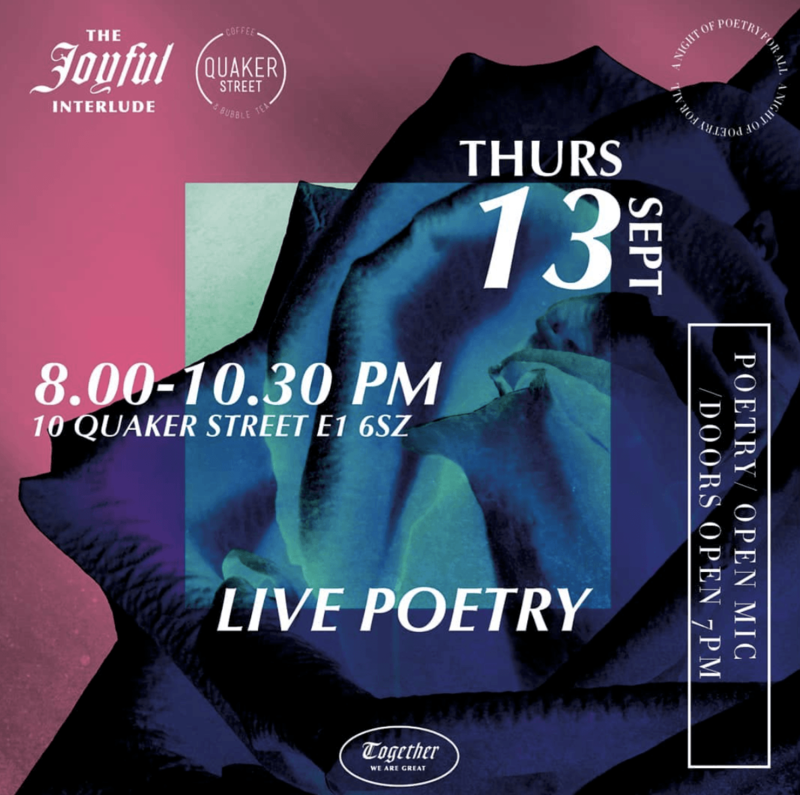 Thursday the 9th saw Quaker street launch the joyful interlude – our monthly spoken word and live poetry experience. 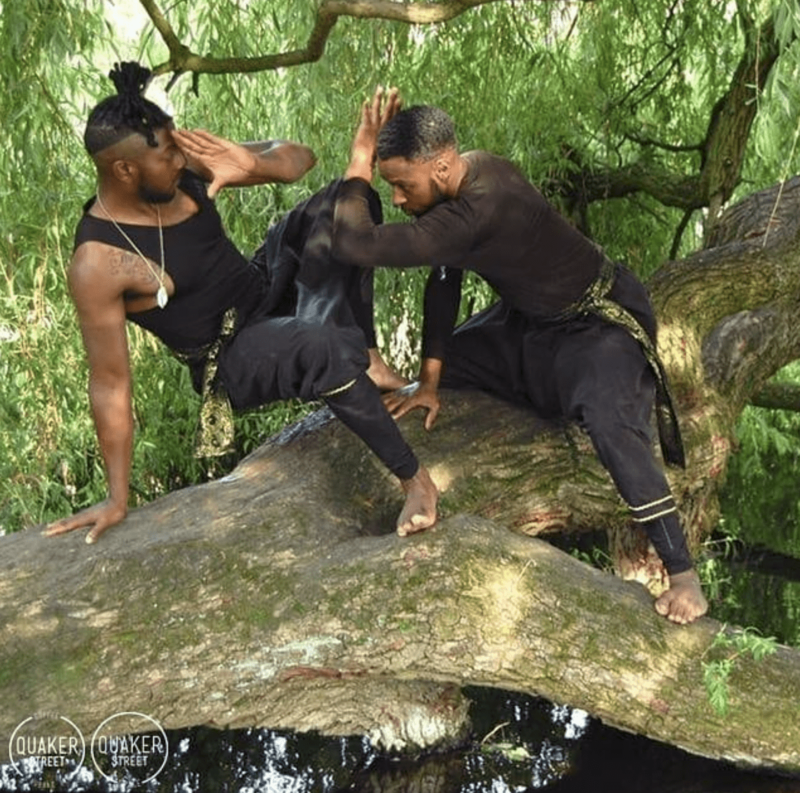 We had the pleasurable company of Aaron James, Neka Speaks, and Jamal Khan.